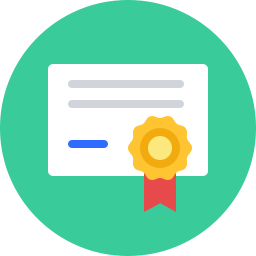 Certification is a process by which an independent third-party assesses and acknowledges an individual’s level of knowledge and skills relative to a set of pre-determined standards. This is typically accomplished by means of collecting and presenting information related to educational background, work/life experience, and specific skill sets. Membership fees, ethics codes, and yearly reviews are also a common part of the certification process. The Indigenous Certification Board of Canada represents a major historical turning point in establishing an official recognition of the special qualifications needed to provide professional healing, health and wellness services in Aboriginal communities. The corner stones of the Indigenous Certification Board of Canada certification process were laid by the Association of BC First Nations Treatment Programs over twenty years ago. This process honours and incorporates indigenous peoples’ culture, traditions and healing philosophies. ICBOC professional certifications are not only comparable to those of other certification agencies in Canada and internationally, but exceed them in term of cultural competence standards and requirements. Moreover, ICBOC professional certification are embedded in a unique, culturally appropriate model of capacity development of the indigenous workforce. This model reflects the realities, needs and aspirations of Indigenous workers, individuals, families and communities. The ICBOC capacity development model, which inspires the standards and structure of our certification system, is based on our long experience listening to indigenous workers, experts and organisations in the fields of addictions, mental wellness and community developments across Canada. The legitimacy of our model is supported by many clauses in the UN Declaration on the rights of indigenous peoples and the recommendations in the report of the Truth and Reconciliation Commission, but above all by the conviction of Indigenous people themselves.